The University’s beautiful Grant of Arms is our very own Declaration of Independence. This historic document, along with Autonomy Day celebrates the University’s emergence as an autonomous institution in 1965. In addition the University also holds the 1974 Grant of Arms for the Newcastle College of Education, an institution which in its later incarnation as the Hunter Institute of Higher Education amalgamated with the University of Newcastle in 1989. The University of Newcastle was constituted on the 1st January 1965 by a Proclamation of His Excellency the Governor of New South Wales and signed and sealed on the 23rd December 1964 under the provisions of the University of Newcastle Act of that year. 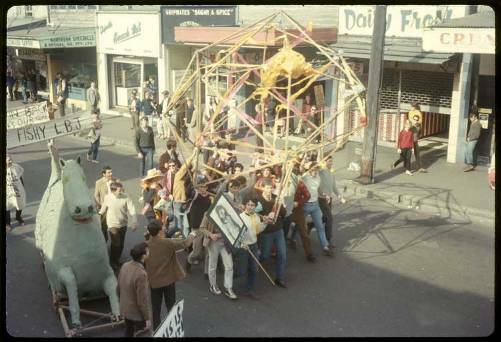 According to folk legend, our understanding is that autonomy for the University officially began on the 1st January 1965 with a symbolic ceremonial bonfire held at the site of the Great Hall and officiated by the legendary Professor Godfrey Tanner who poured wine libations on the ground to sanctify the land upon which the University rests. The bonfire signified the “the joy of attaining long sought destiny”. So why isn’t Autonomy Day at the University celebrated on the 1st January of each year? 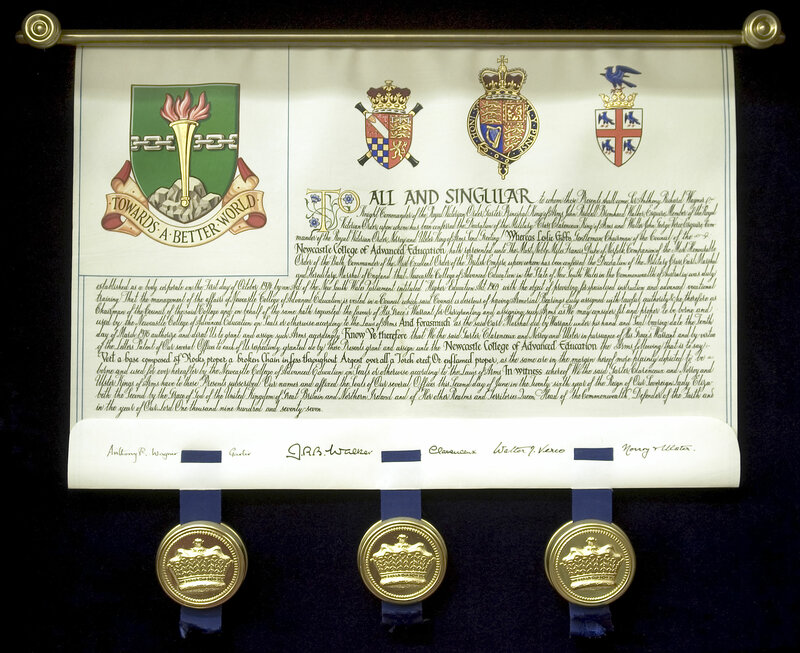 A request to The Duke of Norfolk, Earl Marshal and Hereditary Marshal of England was made on the 25th January 1965 on behalf of the University for Armorial Ensigns to be’ duly assigned with Lawful Authority as may be proper to be borne and used by The University of Newcastle on Seals or otherwise according to the Laws of Arms’. Discussions as to the design continued between Professor J. J. Auchmuty and Lt. Col. J. R. B. Walker, M.V.O., M.C., Lancaster Herald at the College of Arms in London. Auchmuty wanted a design that was both striking and original. The coat of arms was based upon that of the Shortland family. Lieutenant John Shortland led the first Colonial Expedition to Newcastle in 1797, and the site upon which the University was built was called Shortland. 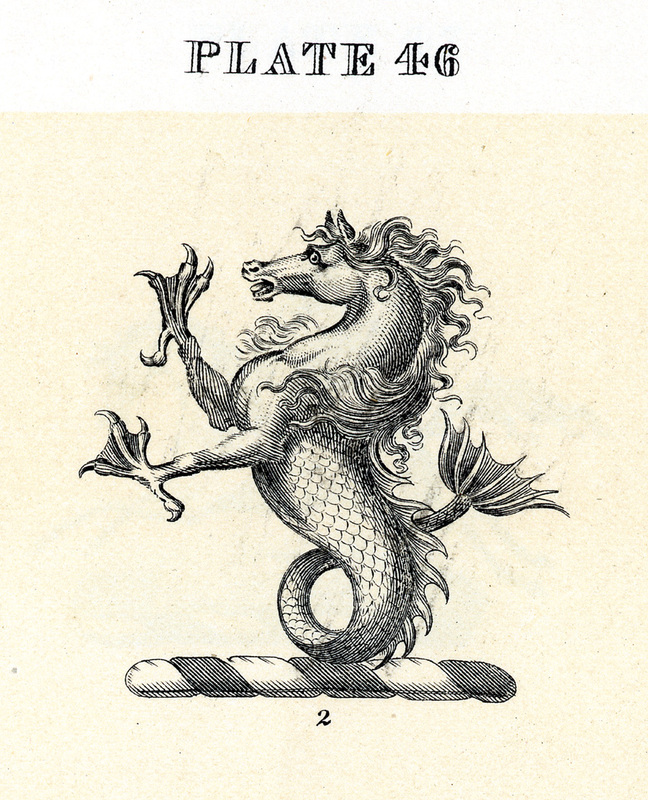 It is also significant that the arms of the Shortland family, which depict a seahorse, a mythical, heraldic creature, are quite unusual and have been easily adapted to the coat of arms of the University. 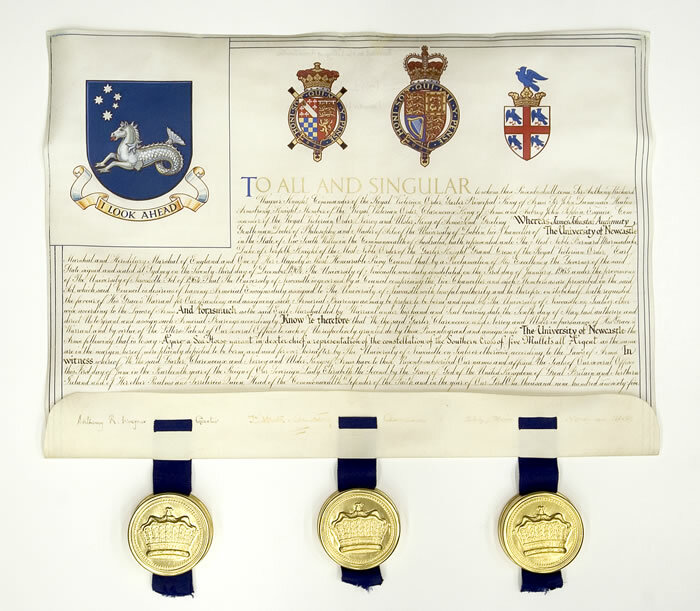 The differentiation between the Shortland coat of arms and that of the University has been achieved by including the Southern Cross in the upper part, on an azure blue background. 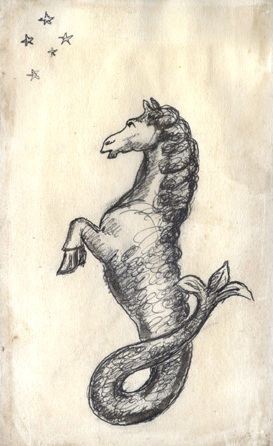 The motto adopted for the University ‘I LOOK AHEAD’ was approved by Council in August 1965 and was in keeping with the ambitions of a University and the appearance of the seahorse on the shield. 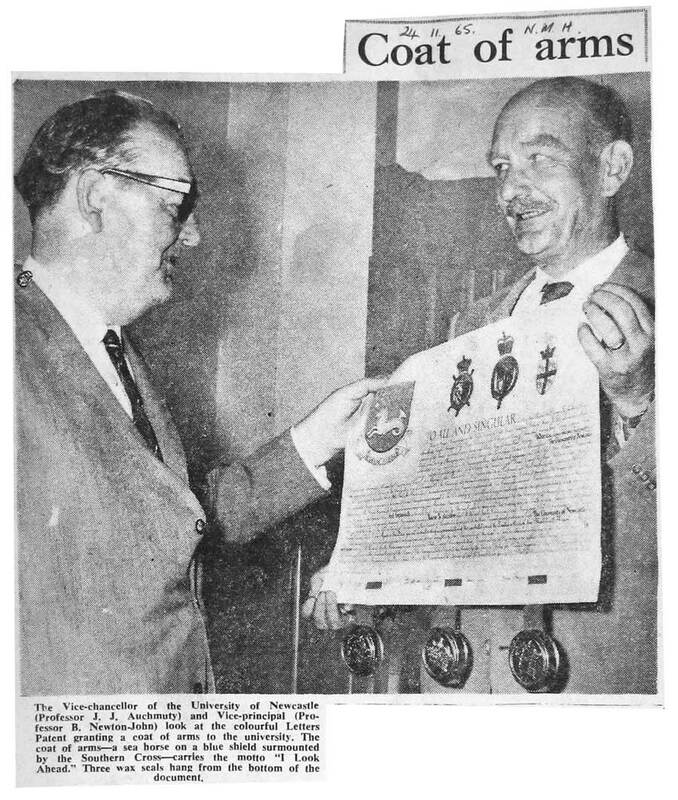 The Letters Patent for the Grant of Arms to the University of Newcastle arrived around 26 October 1965. 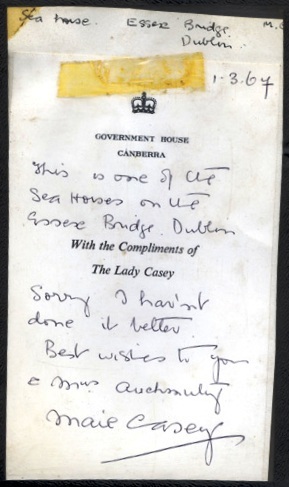 The Date of the Grant was 1st June 1965 and date of the Earl Marshal’s Warrant 10th May 1965. 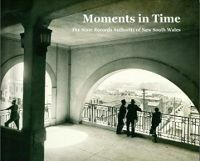 The Newcastle University College of the University of New South Wales, then known as the New South Wales University of Technology, was established on 3rd December 1951. 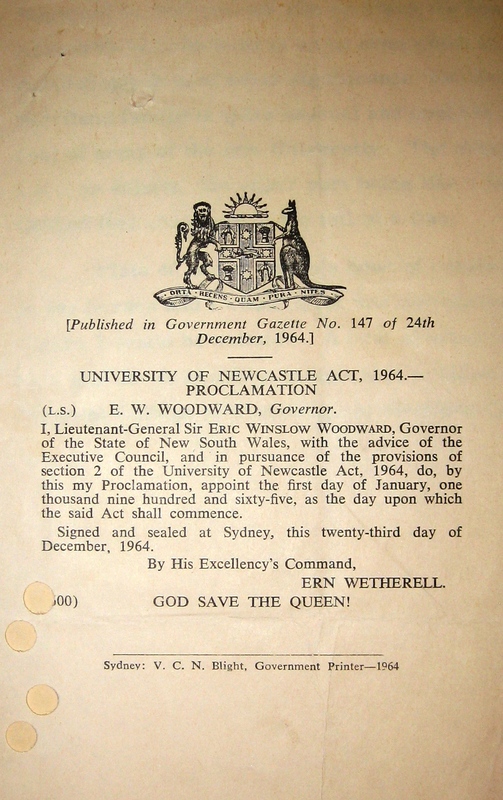 The University of Newcastle, created under The University of Newcastle Act, 1964 came into being on the 1st January 1965.